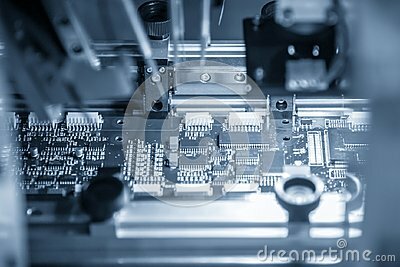 Stock image of the assembly line of electronic board with microchip in the light blue scene.the electronics board production process. stock image of Conveyor belt of vehicles production line in manufacturing. stock image of Galleon model detail made of wood. stock image of Switching Power Supply.